If the answer to that question is that we have not changed much, then we need to accept the reality that the promised increase in faith will not be ours to enjoy. The prophet Brigham Young cautioned that the failure to observe the Sabbath would “little by little . . . cause the “spirit of [our] religion [to] leak out of [our] hearts” and over time cause us to “leave the Kingdom of God and go to destruction.” (Teachings of Presidents of the Church: Brigham Young, p.145). The prophet Spencer W. Kimball further declared that “[t]o many, Sabbath-breaking is a matter of little moment, but to our Heavenly Father it is disobedience to one of the principal commandments” (Teachings of the Presidents of the Church: Spencer W. Kimball, p.166). A failure to honor the Sabbath will result in our leaving many significant blessings that our Father in Heaven is anxious to give us unclaimed. In the scriptures we learn that if we honor the Sabbath “with a glad heart and a cheerful countenance, . . . the fullness of the earth” will be ours (D&C 59:15-16) and our Father in Heaven will “cause [us] to ride upon the high places of the earth, and feed us with the heritage of Jacob” (Isaiah 58:14). Honoring the Sabbath will allow our Father in Heaven to pour out blessings upon us of relevance to all aspects of our lives. Of great importance to us as parents and grandparents is the added promise that honoring the Sabbath will result in the righteous “foundations of many generations” (Id. at 58:12). 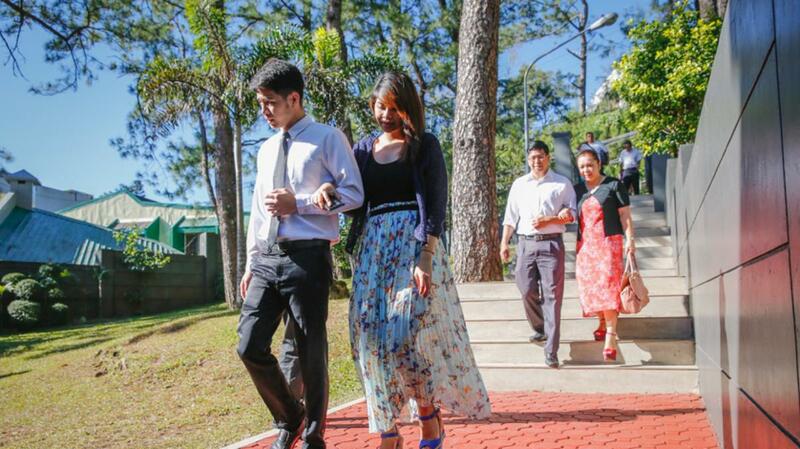 Our honoring the Sabbath and teaching our children and grandchildren to do the same is essential if we desire to create faithful multi-generational families here in the Philippines. In the April 2015 General Conference, Elder Russell M. Nelson shared three important truths in an effort to encourage us to claim the blessings of observing the Sabbath. First, he taught us that our “conduct and attitude on the Sabbath constituted a sign between [us] and [our] Heavenly Father.” (Elder Russell M. Nelson, “The Sabbath Is a Delight,” Ensign, April 2015) His insight of how he determines what to do or not do on the Sabbath is helpful. “When I had to make a decision whether or not an activity was appropriate for the Sabbath, I simply asked myself, ‘What sign do I want to give to God?’ That question made my choices about the Sabbath day crystal clear” (Id.). If such a question is good enough for an Apostle of the Lord, it is good enough for each of us as we evaluate what we will and will not do on the Sabbath. As an expression of our love and gratitude, we should desire to send God a good sign rather than one that suggests we have forgotten Him and what He has done for us. Second, Elder Nelson taught that the doctrine of the Sabbath has been “renewed in these latter days as part of a new covenant with a promise” (Id.). The provider of the promise is the Lord and we are its hoped for recipients. “That thou mayest more fully keep thyself unspotted from the world, thou shalt go to the house of prayer and offer up thy sacraments upon my holy day (D&C 59:9). The promise that we can remain unspotted from the world has everything to do with the Atonement of Jesus Christ and our opportunity each week to participate in the sacrament in order to “always have His Spirit to be with” us (D&C 20:77, 79). Finally, Elder Nelson encouraged us to honor the Sabbath in such a way that we can “call the Sabbath a delight” (Isaiah 59:13). If we honor the Sabbath as we should, we will feel the spiritual, emotional, and physical renewal that is a product of our following the pattern established by our Father in Heaven during both the planning and creation of this earth to cease laboring on the seventh day (Genesis 2:2; Abraham 5:2-3). In addition to ceasing from His creative labors on the seventh day, our Father in Heaven sanctified the seventh day (Id. ), which sanctification can be reflected in our lives as we honor that sacred day. In order to encourage all of us to honor the Sabbath and claim our Father in Heaven’s promised blessings, as the Philippines Area Presidency we included the following as the first goal in the Philippines Area Plan: “Keep the Sabbath day holy and partake of the sacrament weekly.” It would be pleasing to our Father in Heaven if we spent some time in our moments of personal reflection, our family councils, and our ward or branch councils to counsel together about how we might better honor the Sabbath. If we are sincere in that desire, revelation will come and we will stop “doing [our] own ways,” and “finding [our] own pleasure,” and “speaking [our] own words on His day” (Isaiah 58:13). The Sabbath will then become what our Father in Heaven always intended it to be, a delight and a rich source of some of our Father in Heaven’s choicest blessings, blessings that will lead us safely back to His presence.